Metacognition is the monitoring and controlling of cognitive processes. I examine the role of metacognition in ‘ordinary retrieval cases’, cases in which it is intuitive that via recollection the subject has a justified belief. 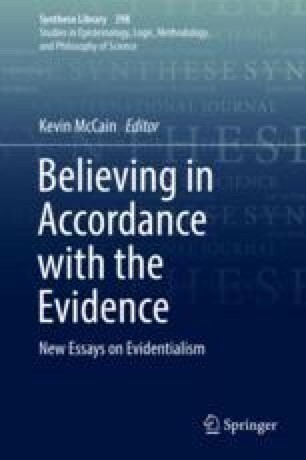 Drawing on psychological research on metacognition, I argue that evidentialism has a unique, accurate prediction in each ordinary retrieval case: the subject has evidence for the proposition she justifiedly believes. But, I argue, process reliabilism has no unique, accurate predictions in these cases. I conclude that ordinary retrieval cases better support evidentialism than process reliabilism. This conclusion challenges several common assumptions. One is that non-evidentialism alone allows for a naturalized epistemology, i.e., an epistemology that is fully in accordance with scientific research and methodology. Another is that process reliabilism fares much better than evidentialism in the epistemology of memory.